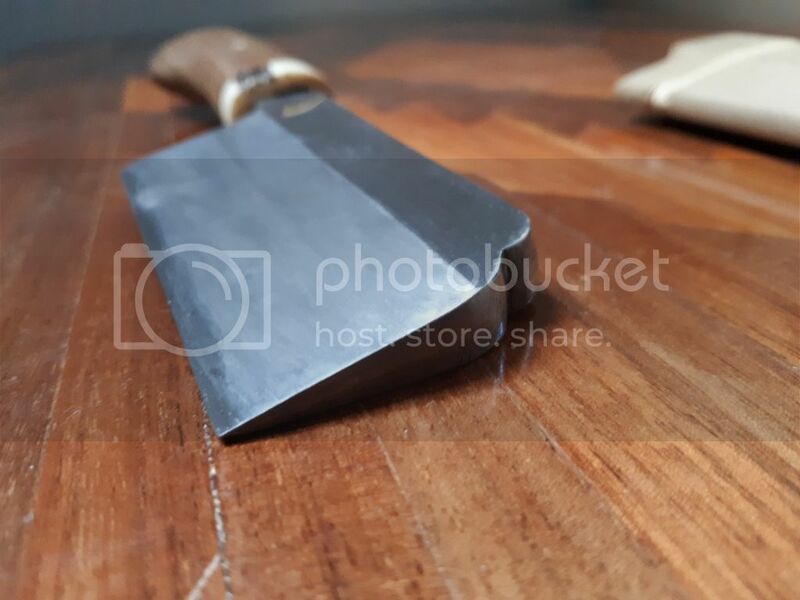 Discussion in 'Kitchen Cutlery & Tools' started by Bangini, Jun 28, 2018. Picked this little guy up today from a local estate sale. Previous owners were From Japan. 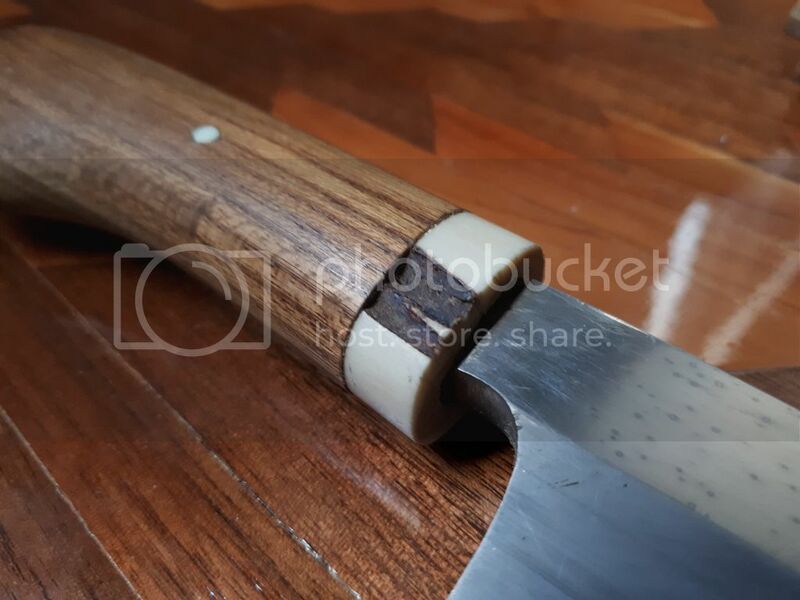 I've searched all over the internet for answers as to what type of knife this is and have had no luck. It has a 3 inch blade, overall about 6.5 inches. The Blade is razor sharp, and is super fat at the top. Any help would be great! I wonder if that's not a custom tool perhaps for fish ? 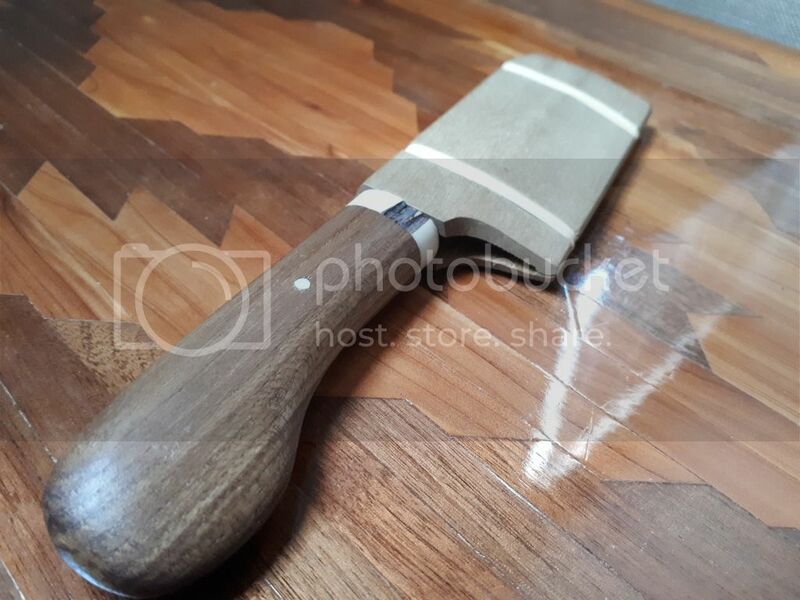 I thought it was a Nakiri vegetable knife until I saw the thick spine. It is a Japanese pruning knife. For gardening/plant care. 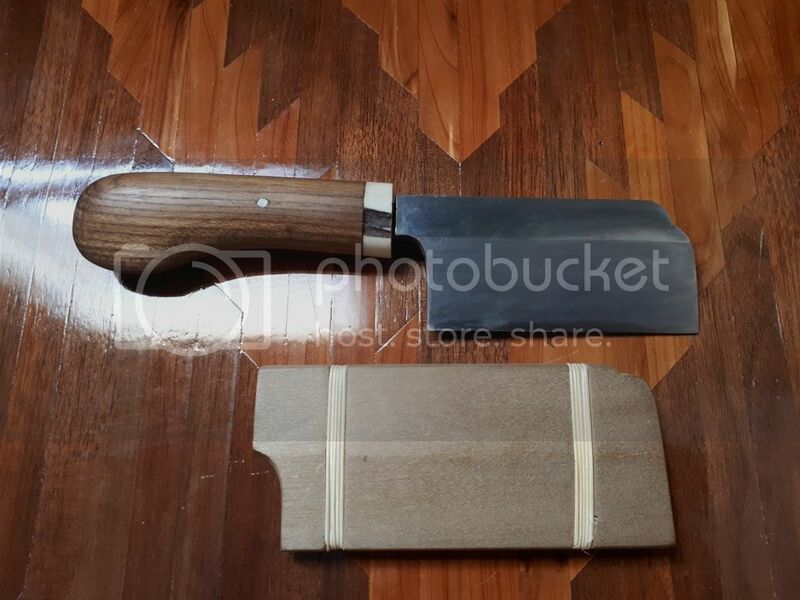 a nata, which is long like a knife but used only for chopping like a hatchet. 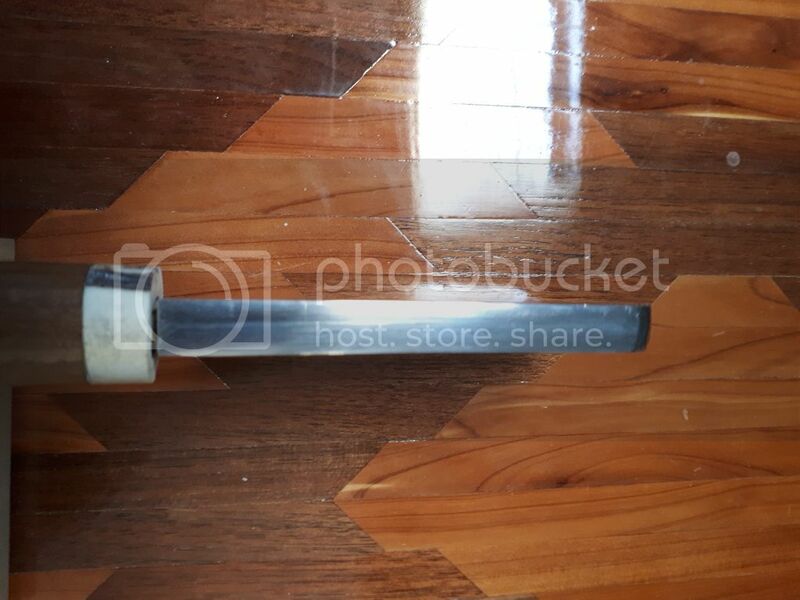 After searching Nata knives, I believe thats what it is. Thanks!